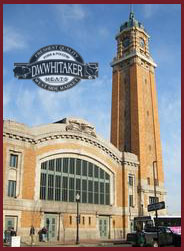 We are located at stands E-8, E-9, and E-10 in Cleveland's Historic West Side Market in the middle of the main markethouse. 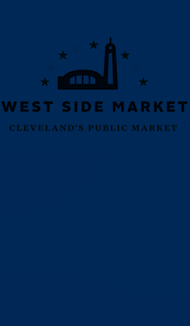 Click here to see an interior map of the West Side Market. Click here to see the Google map of the West Side Market. PARKING IS FREE IN THE LOT DIRECTLY BEHIND THE MARKETHOUSE. The West Side Market is located in the Ohio City neighborhood. From Downtown, take Carnegie Avenue west past Jacob's Field and across the bridge to Lorain Avenue.